Stretching the One Income Dollar: Elvis Is Alive in Vegas! Elvis Is Alive in Vegas! Back in 2010,Gerry and I had an amazing opportunity to see Cirque du Soleil’s, ‘Viva ELVIS’ Show, and we loved every minute. Finding ourselves going back to Vegas in February for more of Vegas , we will be going back for an encore. ‘Viva Elvis’ is a fusion of dance, acrobatics, and live music in a triumphant tribute to the live and music of Elvis Presley. The show showcases the significant occasions in Elvis’s life, artfully blended with his timeless music that you cannot help but sing along to- as relevant today as they were when he was on top of the charts. The music is paired with the Cirque’s dramatic mix of circus arts and entertainment including; acrobatics, jugglers, aerialists and gymnasts. The stage is in constant motion with an incredible amount of acrobatics occurring at the same time, it is a visual feast. 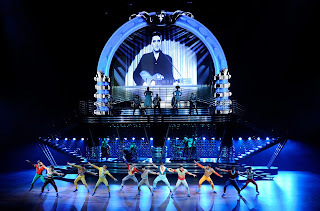 Any Cirque show will make you marvel at the incredible accomplishments of the human body, but coupled with the Elvis’s actual recordings, this can bring a level of authenticity few tribute shows can. This show is unparalleled in it level of sophistication and the power of execution, after all there are very few things more incredible then the jaw-dropping performances of the Cirque du Soleil troupe. 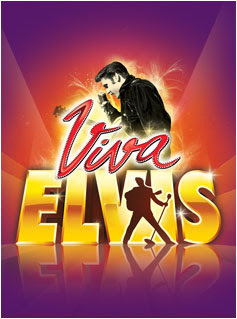 The combination of two of Vegas most incredible icons-Cirque du Soleil and Elvis, will make you scream Viva Las Vegas! Viva ELVIS!